Russian wedding ring set, comprising 3 grain set diamond rings, holding 1.50cts of high clarity diamonds in an accomplished ring design. A spectacular set of Russian Wedding Rings. This design can be crafted in a choice of precious metals, available in many combinations. 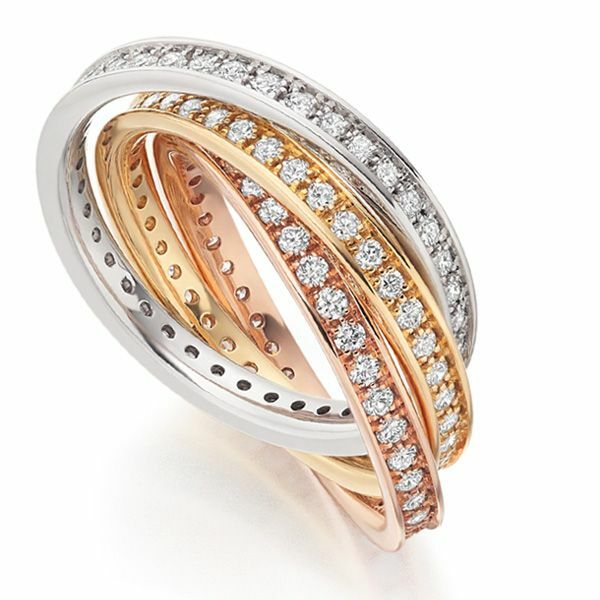 Experience a dazzling show from precision set Diamonds held within full bands, interwoven with freedom of movement. Each interlocking band creates a beautiful combined effect and a statement of luxury. Set with F Colour VS clarity Diamonds with a total carat weight of 1.5cts, every Russian Wedding Ring sparkles with brilliance. Please allow us approximately 4 weeks to craft your Wedding Ring for you, and it will be delivered straight to your door by a secure courier, presented in our own Serendipity Diamonds packaging.